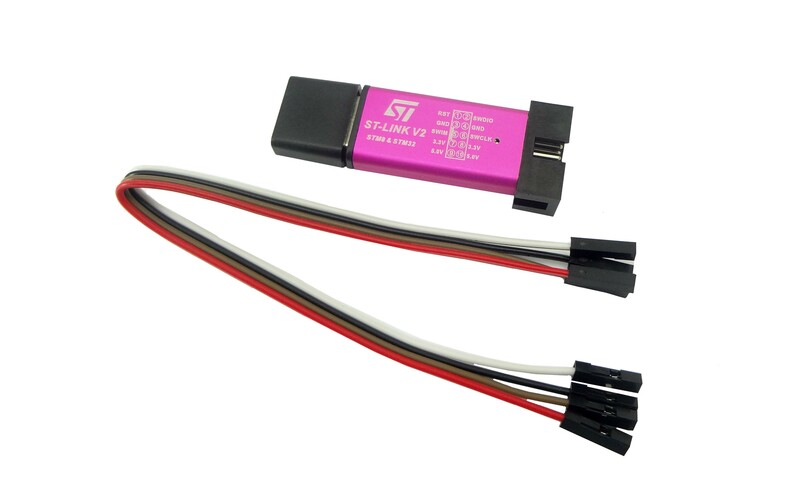 The ST-LINK/V2 is an in-circuit debugger and programmer for the STM8 and STM32 microcontroller families. These are available in the form of dongle. The single wire interface module (SWIM) and JTAG/serial wire debugging (SWD) interfaces are used to communicate with any STM8 or STM32 microcontroller located on an application board. Note: These ST-Links V2 dongles come in a variety of different colors. We're unable to control the color you receive. You can get 5V and 3.3V out of it.